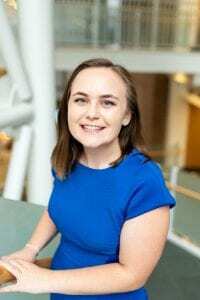 Leanna Conti ‘19 is all about storytelling through data. 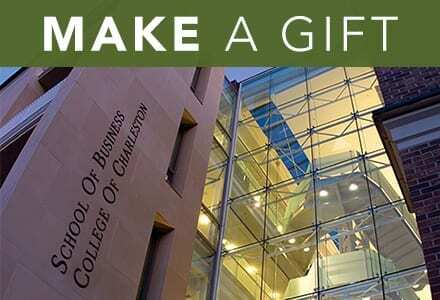 Equipped with a knack for analytics and a tenacity to hone her digital marketing skills, the information management minor successfully landed an internship this summer with SnapCap by LendingTree, a lending firm founded by CofC alum Hunter Stunzi that connects small businesses with loans. The School of Business sat down with Conti to find out more about her internship, daily duties and the ways the experience has reinforced what she’s learned in the classroom. What made you decide to pursue SnapCap for an internship? I came to the College as a Swanson Scholar in the Honors College. That program was made possible by Steve Swanson ‘89, a generous alum and graduate of the honors program. He also happens to serve as an advisor for SnapCap. I had heard from him, as well as others, that the company was doing great things here in Charleston. When it came time to look for a summer internship, I knew I wanted to further my experience in the field of digital marketing and SnapCap by LendingTree had an open position that fit the bill. That really worked out for you! Can you tell us a little about your day-to-day duties at your internship? My duties vary day-to-day but typically revolve around search engine marketing. Every day I’m doing hands-on work running tests and performing optimizations. I put together weekly and monthly reports as well as ad-hoc analyses for any questions that may arise. I’ve been strongly encouraged to pursue any area of the business that I’m interested in here, which makes every day unique and exciting! It sounds like you’re gaining a lot of real-world experience. Are there any classes you’ve taken that directly relate to what you’re doing at SnapCap? I was enrolled in the first iteration of Professor Lancie Affonso’s MKTG 360 digital marketing class. That class helped pique my interest in the realm of digital marketing and its ability to toe the line between business, technology and data science. Around the same time, I took Professor Christopher Starr’s INFM 350 business analytics course, an offering from the new Information Management minor. That course gave me an understanding of data management that is invaluable as a business student in today’s world. At my internship, I feel confident pulling information from databases using SQL (structured query language) — a feat I couldn’t have imagined doing before taking Professor Starr’s class. I’ve been taught the incredible power of data as a decision-making tool and its prescriptive capabilities. Additionally, I’ve seen the sentiment “always be testing” in full force, which can be applied in any area of one’s life. Even the smallest .0001 percent improvement can make an impact when you’re working at the incredible scale that LendingTree is. It’s not enough to remain stagnant, one must always be looking for the newest edge or next leg up. Summer’s quickly winding down. What skills have you gained that you will take with you into the Fall? I hope to walk away from this internship with stronger analytical and interpersonal capabilities. I would also like to continue to pursue new trends in digital marketing and have a better understanding of how those trends can be applied to benefit companies as small as startups to as large as LendingTree.